Every business needs an effective and attractive website to thrive. In order to keep your website in tip-top shape, you need to take care of it. Think of your website like your car. With a car, you need to get regular oil changes and services to avoid a drop in the vehicle’s performance or the engine stalling altogether. The following points should help you maintain your website to a high standard. Make sure to regularly test all calls to action and points of contact or sale. This might include Contact Us forms and the checkout process on your website. You need to know that your contact form works and that the message is arriving where you are expecting, for peace of mind if nothing else. Your SEO is the only way that people will find you on Google and other search engines so you need to make sure it’s up to standard. By effectively monitoring and measuring your search engine rankings and website analytics you should be able to see if your efforts are paying off. Would you appear when a potential client searched on Google? How long are visitors staying on your website? Does this tell you something about your website’s visual qualities or perhaps the information presented? If you have your domain name set to auto-renew then this isn’t a point for you. However, if you didn’t choose to auto-renew then check when your domain name runs out and make a note of it in your diary or calendar. Your domain name is one of your most prized possessions so make sure it doesn’t expire on your watch! If your domain name is almost up for renewal then you can transfer it to our partner domain company; DS Domains. Review and update any copyright dates throughout your website. You don’t want this to be out of date. Also, check that you aren’t displaying anything really out of date e.g. offer or event information. You don’t want to be displaying an out of date Christmas offer in February! Contact information on your website should always be up to date and accurate. This includes addresses, phone numbers, email addresses or if you use a contact form making sure that the message is being forwarded to the right place. 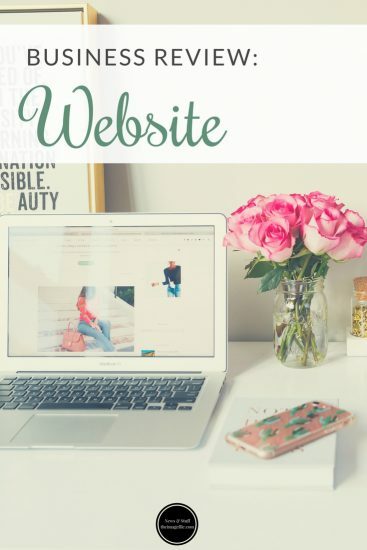 If you feel that your website is lacking something and would like to have a bit of an overhaul then take a look at the Website Build Service.